He didn’t say because people weren’t following safety protocols, he made the link that is emerging as a key factor in workplace injuries. Unhealthy and unfit workers are more likely to injure themselves. Zero harm is the goal, as it should be, but today we know that keeping people safe in the workplace is just part of the bigger picture. Beyond zero harm, is what we should be striving for. Not only keeping our people safe, but actively promoting a fit and healthy workplace. In 2014-15 in Australia there were over 107,000 serious injury and disease claims, the majority being body stress injuries; followed by slips, trips and falls; and being hit by a moving object. It’s a problem too large to ignore. In 2012–13, Safe Work Australia data showed that work-related injury and disease cost the Australian economy $61.8 billion, approximately 4% of GDP! However, it shouldn’t just be employers concerned about these rising figures. Safe Work Australia’s data shows the cost borne by employers for injury and accident is only 5% of the real cost. The majority of it is borne by workers. Nobody can deny that action must be taken to protect your people and maintain profits. 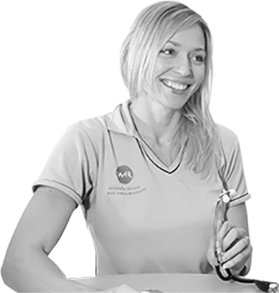 But the real answer lies in building and promoting a workforce of fit and healthy humans to help prevent and significantly reduce injury. In fact, Safe Work Australia’s research finds that the lowest workers compensation costs are found in work teams that foster a positive work environment where employees feel supported and have high levels of wellbeing. Not to mention all the other benefits that come from having a fit and healthy workforces – such as lower absenteeism, better work performance and better interrelations. Sadly, this is not the current state of play for Australian workplaces. Shifting work trends and changes in job composition see us working longer, feeling more pressure, sitting more, moving less, drinking more and to be frank… letting ourselves, our fitness and our health go down the gurgler. Unless our underlying health and fitness are addressed, the effectiveness of our best-intentioned risk and safety efforts will be compromised. But poor fitness and health don’t only increase the risk of physical incidents, it has a significant impact on our state of mind and overall wellbeing. At WFR, we’re getting more and more calls from clients asking for help to prevent and manage the increasing number of people suffering from mental health issues. I’ll admit the mental health landscape is a complex one for employers. And likely, the problem is much worse than we realise because people’s mental struggles are far less visible. When I receive one of these calls my first response is always this… “would you say your people are generally fit and healthy?”. That’s because the link between your physical and mental wellbeing is well documented. And while there is a lot we can do to support workers and employers in this space, we should not act without supporting people and workplaces to become fitter and healthier overall. 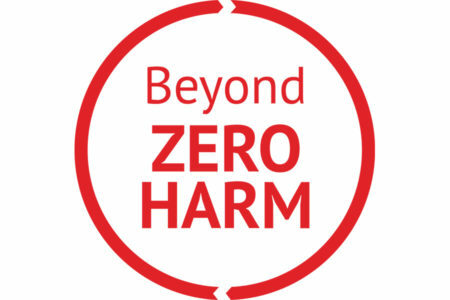 If our goal is to move beyond zero harm, to be more proactive, to improve productivity and reduce work-related injury costs – then we must create a healthier environment. Want to see how your organisation’s health and fitness measures up? Contact WFR for an initial chat on 1300 937 777.